Will Uganda's Cranes be able to do without coach Lazlo Csaba? 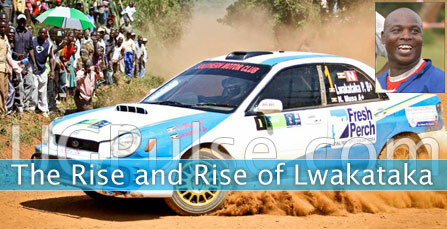 What really just happened to Uganda?!! Many people were convinced that there was no chance other than this to break the 31 year old long standing jinx and qualify for the Angola 2010 African Cup of Nations finals. But the country once again has been hit by a very big tragedy following Coach Lazlo Csaba's abandonment of the Uganda Cranes. Csaba who has been the chief master minder of the Cranes team threw in the towel last week in the teams most critical time to join greener pastures in Scotland. He steps in for Frail Stephen at the Scottish giants Hearts FC owned by a Lithuanian billionaire Vladimir Ramanov. The departure of the 44 year old German-Hungarian tactician has raised question marks about the Uganda Cranes chances of qualifying for the 2010 finals in Angola despite a promising start. The Cranes currently languishing third on the table but with a superior head to head against Angola, are pooled in group three along side Angola, Benin and Niger. The in-form team needs only victories against Benin at home and away to Niger to progress to the next stage. Csaba's decision to abandon the team has been the centre of discussion in the country in addition to dominating the headlines in Ugandan vocal media. Csaba personally should be excused if you put your self in his picture as very few could let the chance go by bearing in mind that the strict disciplinan is destined to earn three times of what he has been earning in Uganda. "I apologize to Ugandans because such chances come once. Working in UK which is considered as the home of football is a plus," Csaba was quoted saying before he finally put the pen to take the mantle at Hearts. Csaba who has been earning $8,000( 12.8m shillings) a month in addition to free accommodation, two return tickets to his home every year and education to his children, is expected to earn three times that amount from Mr. Vladimir Ramanov. The Football governing body in the country FUFA and some section of the football followers might be attracted by the 120,000 pounds (396m shillings) that Ramanov is to cough as a buy-out of the contract. But the question on the table is, where is FUFA going to acquire a coach of Csaba's caliber with their meager resources in only less than two months� one who will adapt to local players and Uganda's conditions. This all reminds us the 2002 Tunisia African campaign that saw FUFA messing to sack the then national coach Paul Hasule, accusing him of drawing against archrivals Rwanda away in Kigali and succeeded him with an Argentine Pedro Pablo Pasculli. 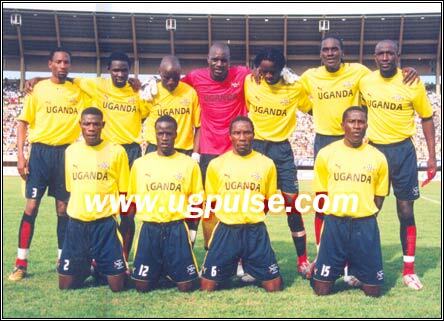 Hasule had earlier on humbled the mighty Ghana 1-nil at Namboole thanks to Phillip Obwin's strike. In Pascullie's first assignment, he lost to the very side that Hasule had secured a draw from away. The Argentine threw in the towel immediately as he couldn't absorb the pressure and that marked the campaign that had started in high gear fruitless despite a promising start. FUFA should borrow a leaf from that experience. Csaba in his two year reign in Uganda had instilled self belief, team work, and professionalism in the team and has turned the Cranes into one of the fast emerging giant killers on the African continent. Giants Nigeria and Angola who has ever faced the wrath of Csaba home and away can testify. Csaba found the team ranked 126th in the world but by the time he has left the tiny East African state is ranked 96th. As every one cherishes Csaba's 3-1 victory, he thinks other wise as he considers his barren draw against the same team in the second leg as his best ever. "This is among my best results ever, I thank my boys for the job well done" Csaba was quoted saying shortly after the encounter away in Luanda. Orphans: will the Cranes fly any more with out their master. According to sources from the corridors of FUFA Headquarters at Mengo, former SC Villa Yugoslav coach Millutin 'Micho' Sredojevic 'Serujonji', his fellow country man and a personal friend Tomislav Sivic, Nigerian Stephen Keshi and former Csaba's assistants , Sam Timbe and Veteran David Otti are some of the top candidates to take over the job. Despite the above pool of tacticians having rich CVs, I see non with the capacity to fill in Csaba's boots. Micho is not new in Uganda. 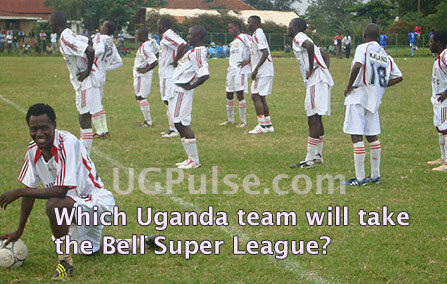 In fact he considers Uganda as his second home having worked at Villa Park for over three years. True his achievements are evident but it should be noted that a club and a national team are totally two different entities as we have seen so many tacticians excelling at club levels and completely backfire at the national level and vise versa. It's too early to forget that this very gentleman left Villa Park not in the best fashion. Despite sweeping all local trophies, he didn't make any impact at international level and this is the very main reason as to why he was shown exit of Villa Park. His blunder in the 2003 African Champions league against AS Aviacao over shadowed all what he had achieved for SC villa. After having guided Villa to a 2-1 away memorable victory in Luanda, Micho blundered in the second leg and donated to opponents in Kampala with two quick goals in a space of the last eight minutes of the game thanx to his tinkering instinct that saw him bringing off two of his super stars on the day Hakim Magumba and Joseph Kabagambe. 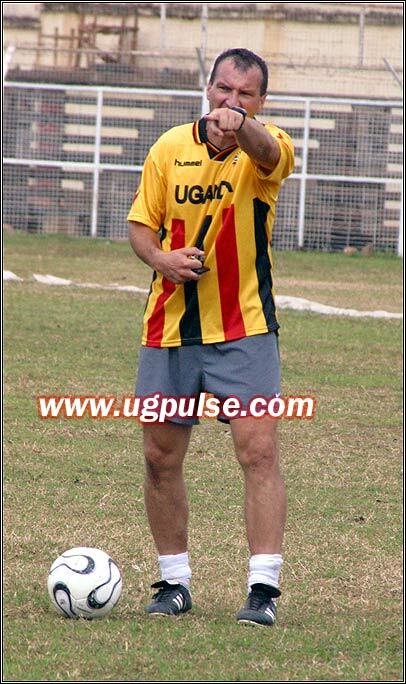 Turning to his long time friend Tomislav Sivic, is also not a new figure in Ugandan football having succeeded Egyptian Mohammad Moshir Abbas before he resigned before even conducting a single training session with the cranes, citing loop holes in his contract. Before even judging him further, he is not reliable. The inferiority complexity associated with our colour not only in Uganda but also else where, has always done a disservice to football management and these credits Mr Keshi with a minus. Not to say that we blacks are behind in the game of soccer, in fact one of the world's most celebrated tacticians Jose Mourihno argues that no bigger team in Europe can survive without a black talent. And if the Portuguese self proclaimed only one, says so who can say no, but this shouldn't drive us from the fact that most of the governing football bodies in Africa if not on the whole globe, tend to minimize black managers by not according them with due respect they deserve. The fact that even in England that is considered to be the home of the game of soccer, its only this very year that a first black manager to handle any premier league team has been seen in names of Paul 'Gazza' cements my argument. For Timbe and Otti, I just feel sorry for them, because gone are those days in Uganda for a local tactician to handle the national team. The reasons are not so much associated with their credentials but the disrespect and mistrust accorded to them by both the players, fans and the football governing body. This is in addition to their attachments with the local clubs .When Hasule, arguably Uganda's best coach ever, handled the Cranes he was always impeached of dominating the team with SC Villa players so was KCC FC's die hard Mike Mutebi when he took over the post. 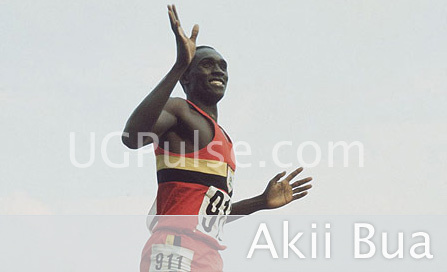 His 2-1 victory over Nigeria's Super Eagles, coming from a goal down will always remain in Uganda's books of records while the 3-1 white washing of Angola will always exist in the Guinness book of records. The sweet victory over Angola's Palancas Negras came a few days after a 4-1 catastrophe away in Catonou against Benin squirrels. Amidst abuses from the fans and the press who had reached an extent of demanding csaba's head together with his troops, the German played it cool, worked on the psychology of his boys, made some few changes in the team and proved his critics wrong by taking the Angolans to the football class. Angola's tactician Oliviera Concalves had earlier on warned Csaba to get ready for a 5-nill mauling only to eat his words after the final whistle in Luanda. Csaba approached the game with a high degree of intelligence , stationing aright full back Simieon Masaba on the right midfield and Abubakar Tabula on the left mid field with an aim of supporting Andy Mwesigwa and Nestroy Kizito respectively in containing the deadly pair of Ze karanga and Gilberto which paid off. He went on to go for alone striker (Eugene Ssepuya) despite traveling with Geoffrey Massa and packed his midfield with five players that un settled Oliviera Concalves' boys from the first whistle to the final.